Country Trails is a family-owned and operated business providing small-group tours from Sydney to the Hunter Valley, Blue Mountains and Southern Highlands. Our tours are all about getting out of the city to see some of the picturesque New South Wales countryside and to experience regional hospitality. Our tours - conducted by Glenn - are personal and flexible, allowing you to enjoy a great day out with friends, family or colleagues at your own pace. Follow a standard itinerary or set your own. Glenn is always happy to discuss the tour with you and send you a personalised itinerary and quote. Interested in joining a Hunter Valley tour with others? 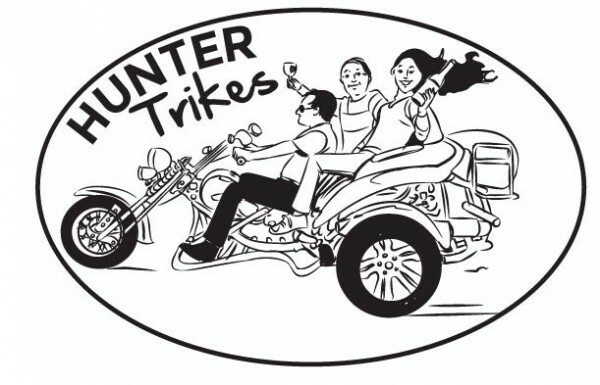 We also offer a twice-weekly shared tour to the Hunter - with a maximum of six people. Our tour vehicle is a very comfortable late model Mercedes Viano featuring seven full-size, reclining passenger seats (with plenty of legroom). Tour booking is simple and secure, either online through our website or over the phone. Please contact Glenn to discuss your requirements. We look forward to assisting you with your tour. Hunter Valley Helicopters specialises in making your day one to remember, be it a scenic flight, picnic, lunch tour, extended tour, birthday, anniversary, proposal or even your wedding. We also can transfer you to/from Sydney, Newcastle or Bankstown Airports. Relax and enjoy the best the Hunter Valley has to offer in air-conditioned comfort with our daily guided tours. Visit wineries of your choice or leave it to us to show the highlights. A stop off for lunch is included but comes an extra expense on the day. Explore unique scenery and the rich tastes of Hunter Valley wine and beer. Enjoy gourmet cuisine including chocolates, cheese and olive products. Discover a fabulous array of cellar doors in some of the prettiest areas of the Hunter Valley, and see the fabulous Hunter Valley Gardens. Tours operate from Cessnock and Pokolbin accommodation with connections from Sydney, Newcastle, Maitland, Branxton, Singleton and Wollombi. Zepher Tours provides real experiences with incredible nature, culture, food and wine. For a fun day out and first class customer service, join one of Zepher Tours Hunter Valley Wine Tours from Sydney.